In a world of increasing population, this book explores the ways in which technological progress can provide smart energy management strategies to maximize resources. Energy is essential to the survival and development of mankind. Increased pressure on existing resources now requires wiser energy management, in addition to the discovery of new resources. Challenges such as the global trend of “cheaper”, exponentially increasing demand in new geographies, and current climate change policies now call for new approaches and ways of thinking about energy use which consider the impact on all involved actors, and on nature. Energy generation and management can be made more efficient by making use of technological progress and sharing global experience in the smart use of this resource. 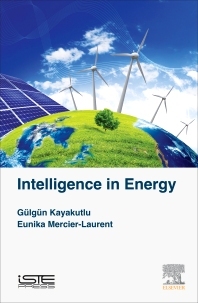 This book presents a knowledge-based review of the past, present and future of energy usage, with mathematical, modeling, economic, technological and environmental perspectives. The ideas and experiences shared here propose wiser energy management as a system component of natural ecosystems. Gülgün Kayakutlu currently teaches Operations Research and Intelligent Optimization courses in the Industrial Engineering Department at the Istanbul Technical University, Turkey. She has previously worked for the International Energy Agency, and founded Sybase Turkey. She conducts and supervises joint university-company PhD projects on energy optimization. Eunika Mercier-Laurent is currently Associate Researcher at University Jean Moulin, Lyon, France. She is the Founder of Global Innovation Strategies, President of Innovation3D, and a teacher and e-teacher of the “knowledge approach” in engineering schools and universities.